This is my upgraded personal computer. I upgraded from an FX8350 to the Ryzen 7 1700. Note that this is an upgrade and not a complete new build. Anything with a $0.00 price was carried over from my previous build. APOGEE. In reference to how I feel about this iteration of my gaming PC after nearly 10 years of custom built computers. Pentium 4, Athlon 64, Athlon 64X2, Phenom II x4, Piledriver FX, and now Ryzen. AMD has created a very competitive architecture with Ryzen, and are at the top of their game. I have been through a lot of upgrades and new builds over the years, and something usually carries over. This time is no different. I purchased the 1700 on launch day, and the motherboard a day later. I originally had a 16GB Kit of Crucial Ballistix but it didn't OC so well so I got G.Skill now and it's all good. I had been gaming on it and have used my old GTX 970 for the first couple months. I came home from work and my Wife surprised me with an early birthday present, The EVGA GTX 1070 SC. I ran the CPU on the stock Wraith Spire cooler at 3.6ghz/1.10v and temps were 35c/65c. Pretty quiet, the slightest hum of the fan under load. I installed an H100i GTX and at 3.8ghz/1.25v the temps were 35c/72c. 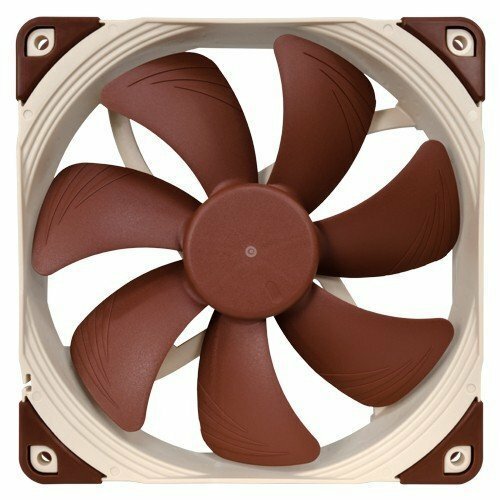 The stock fans were VERY loud, but I replaced them with some Noctua NF-F12s and it made a night and day difference. With a Deepcool Gammax 400 (Noctua NF-F12 x2) at 3.8ghz/1.25v the temps were 35c/70c. I bought a Hyper 212 LED on Black Friday for $14 and I wanted to test it. Same settings as the GAMMAX, 3.8ghz/1.25v and the temps are a very nice 35c/70c. I'm not sure why the H100i performed so poorly, as after I sold it the buyer installed it on an FX9590 and he said it cooled that beast very well. 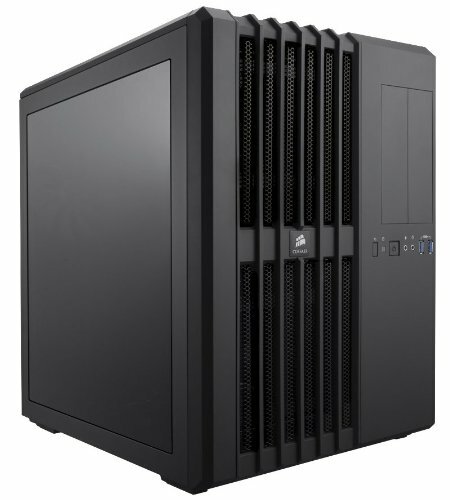 I recently purchased a Cooler Master MasterAir MA610P for $44 on sale from Amazon. I was very dissapointed with that cooler and have already removed it, as well as returned it to Amazon for a refund. It had a terrible fan noise and was 7c hotter under load than the Hyper 212. 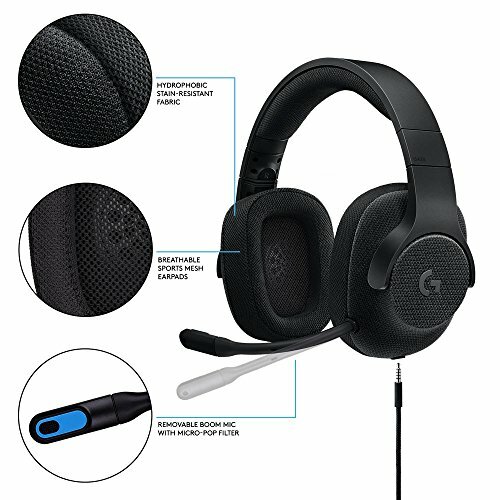 I believe I received a defective unit, but it was such a bad experience that I returned it for a full refund and will be hesistant of purchasing any future CoolerMaster products. My current cooler (and probably final for this Ryzen generation) is the Noctua NH-u14s. 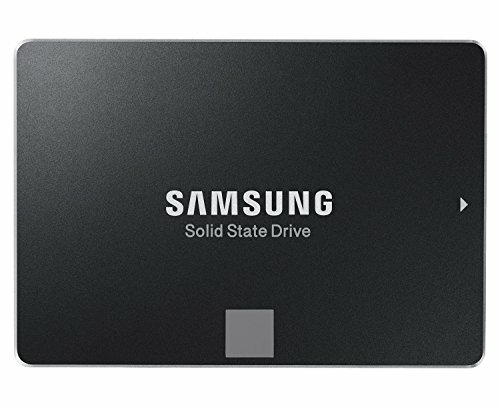 It keeps my CPU temps lower than any other cooling solution I have tried, and does it completely silently. I have not heard the fan on this cooler, and it really helps to keep my PC virtually silent when gaming. I was able to get a stable overclock of 4.0ghz @ 1.4375v, but peak temps were a little high for my taste even with the Noctua cooler (77c on Cinebench), so I settled on 3.95ghz for a 24/7 OC. I would like this processor to last as long as possible and tbh 3.95ghz on this baby is more than enough to get me 100+ FPS on all my games so I don't feel the need to squeeze every last drop out of it. It wasn't worth the extra voltage required, as well as the 10c higher load temps just for a 1% increase in clockspeed. For the last two years my gaming computer has been an FX8350 with 16GB DDR3 1600 and an Asus GTX 970. I played most games at high settings @ 1920x1080, but quite a few of my games were prone to framerate dips and stuttering (presumably caused by the FX8350). I had a mostly good gaming experience, but I knew it could be better. This has been a massive upgrade for me, and I will hopefully keep this configuration for at least 3 or 4 years. I can play every game out at high settings on my 144hz 1080p monitor and enjoy a very good gaming experience. As long as this system keeps me in that PC Master Race sweet spot, I will be content with my vast Steam and Origin libraries. 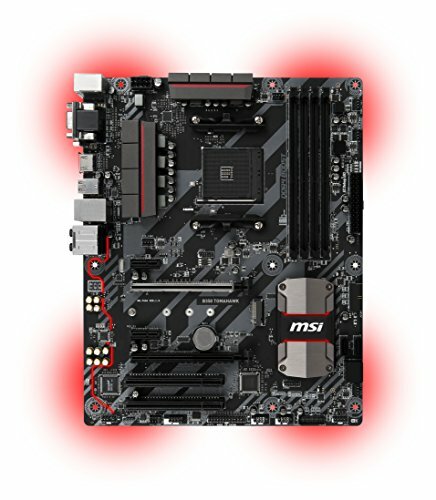 EDIT: Exactly 12 months and 11 days after I originally built my AM4 Ryzen computer, MSI has released a BIOS that finally allows my memory to run at 3200hmz using A-XMP profile 2. I cannot complain too much, as I bought an Intel-specific variant of the G.Skill Ripjaws that was not (and still isn't) on the compatibility chart for this motherboard's QVL. But it's nice to see that while it isn't officially supported yet, MSI is still making the effort to expant Ryzen's memory compatibility as much as possible on their motherboards. Good guy MSI. EDIT: This build is now cooled nearly exclusively (aside from PSU and GPU fans) by Noctua fans. Although a little pricey, I have never owned quieter fans that moved as much air as these do. Even with a full set of dust filters they move more than enough air to keep all my components cool. The brown tones are not for the aesthetic loving builders, but I believe in function over form and in this case they suit my needs perfectly. Amazing processor. I upgraded from an FX-8350 and the performance gains in gaming were immediate and very significant. Paired with an EVGA GTX 1070, I now play all games in my library on ultra settings with 60-144 FPS @ 1080p. Multitasking with this is great, I can play a full 1080p game with multiple downloads in the background and have a youtube video playing simultaneously and nothing slows down a bit. 10/10 would recommend. I wish I could review the Wraith Spire cooler as it's own part, I have to say that AMD really knocked it out of the park with the AM4 cooling solutions. The Wraith Spire kept my 1700 with an all-core OC of 3.6ghz under 65c during stress testing, and around 50c during regular gaming. It's super quiet, I have a nearly silent system, and I only occasionally heard the Wraith CPU fan at all. It's a very good looking cooler as well, and much larger than any previous (original AMD Wraith notwithstanding) stock cooler I have ever seen. The RGB ring is just icing on the cake, and really helps the cooler stand out aesthetically. Aside from higher-speed overclocking or for other aesthetic reasons, I see no reason that this cooler would need to be replaced with an aftermarket cooling solution. The days of stock coolers being "barely enough", and to be replaced at the earliest opportunity by a more capable cooling solution have come to a close, at least on Team Red. Keeps my Ryzen very cool @3.9ghz/1.325v and does it silently. My computer is virtually silent at idle and extremely quiet when gaming, a big part of that is this cooler. Installation was a breeze, and although I could have gotten the AM4 adaptor kit for free with the proof of purchase, I simply ordered it at the same time as this cooler so they arrived together. Great motherboard. Has all the features I want. Only reason I gave it 4 stars was the slow BIOS updates. 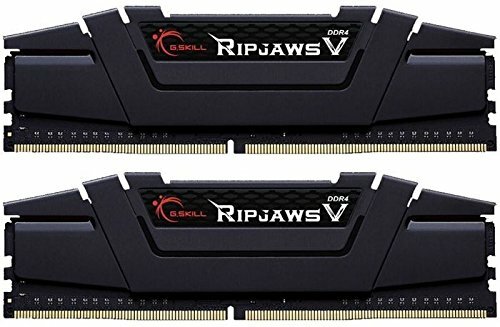 I'm on 1.6 revision and still no support for G.Skill 3200 Ripjaws V so I'm stuck running my RAM at 2933. 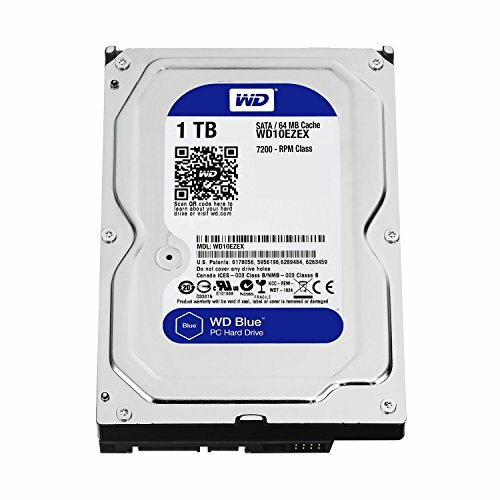 EDIT - 4/6/2018 - BIOS 7A34v1F expand memory compatibility. My memory now runs at 3200mhz using A-XMP profile 2 with no other tweaks. I did lock the DRAM voltage at 1.35v instead of leaving to auto but otherwise no adjustments were made. 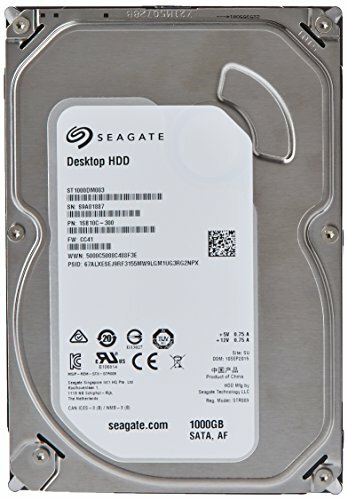 Good drive for game storage. Decently fast loading times. quiet. Amazing card. Plays every game I own at ultra settings above 60FPS @ 1080p. Nvidia GPU boost has this card running at 2000mhz out of the box with no tweaks on my end, and the GPU temp never goes above 65c. It's also very quiet, even at max load the fans barely audible, at a not-unpleasant pitch. EVGA knocked it out of the park here as far as I'm concerned. Beats everything at the $400 price point. Witcher III MAX SETTINGS = 90+FPS. DOOM MAX SETTINGS = 140+FPS. FarCry 4 MAX SETTINGS = 100+FPS. Great case. Very good build quality and excellent cable management. Good clean power going on 3 years now with no problems whatsoever. I received this unit as a replacement/upgrade for an older HX750 (non "i" model) that I RMA'd. I went about 300w over what my system draws, and as a reward for my overhead I have never heard the fan on this unit turn on. Very good mouse, and the software interface by Corsair is very easy to use. Very nice monitor! I replaced my 29" IPS ultrawide with this monitor and all I can say is Wow. The colors on this monitor look every bit as good as my old IPS, the 144hz refresh rate really makes everything pop. 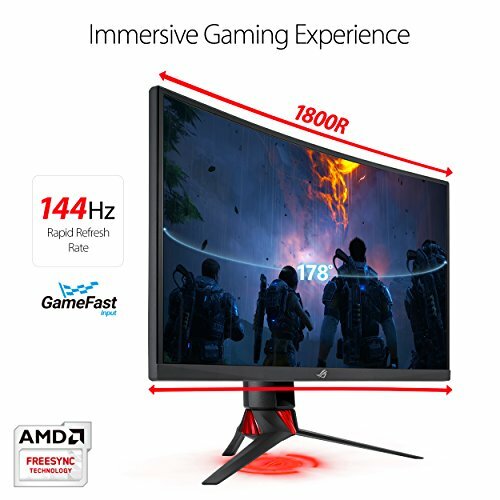 I'll never go back to 60hz. The build quality on this monitor is also very good. Had to take a star for a single stuck sub-pixel (green). Not noticeable at my viewing distance unless on a black screen I stare right at it, if it unsticks itself I will give the star back. Best wife of the year! Also a lovely and well done build here. You have my one. Yes, she is. And thank you! Most awesome 1070 ever. especially that your lady gave it to you. +1 for all that awesome!!! Even though I already own Mass Effect: Andromeda, I'm glad she got me the EVGA. Because it's a reference PCB, I have more options if I ever decide to run a custom loop or just get a hybrid cooler for it. I know it's not necessary as the highest temps it hit under benchmarks was 65c and even then I couldn't even hear the fans, but I've always kind of wanted an all-liquid-cooled computer and I may still end up doing it. I have owned cards from Diamond, XFX, Asus, PNY, Sapphire, and EVGA in the past, and to be honest my two favorites (for both build quality and overall experience) are XFX and EVGA. 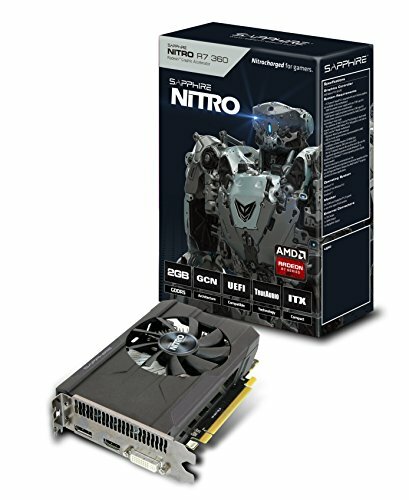 I have two XFX R9 280 BEs in my sons' builds, I bought them 4 years ago and they still carry a lifetime warranty. Also, the EVGA boosted to (and held) a solid 2000mhz during gaming, straight out of the box with no tweaking on my part. I absolutely feel no need to overclock this card. Absolutely agree with you, I love evga and XFX. Some best cards I ever owned. Also the 1070 is a beast. It asbolutely is a beast, night and day over my "old" GTX 970. Every game I have tested so far(Fallout 4, Witcher 3, Battlefield 1, Mass Effect: Andromeda) has run at absolute maxed settings with every option on and stayed locked at 60FPS on my monitor. I turned Vsync off on Battlefield 1 and i was averaging over 110 FPS on the Ultra preset. IMO it's a little overpowered for my 1080p 60hz monitor, but I have a 4k TV next to the desk and now I can play on that if I want, albeit at lower settings. Also later this year (maybe Christmas) I would like to get a 1440p monitor. Then it will make more sense for the 1070.
nice clean build. We share a lot of parts in common but what surprises me is that we have the exact same mouse and keyboard combo. Thank you. 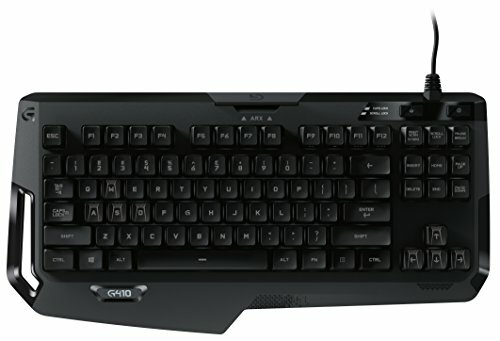 I got the keyboard on a pretty good sale, and my wife bought me the mouse for Father's Day. I really like them both and have no complaints. It was a little tricky getting used to a tenkeyless, but for gaming it's great. 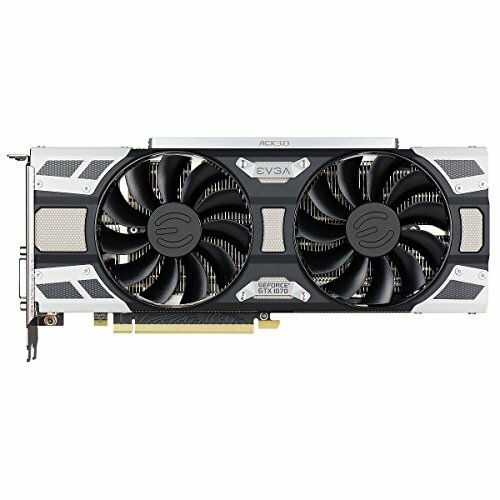 Awesome system, I believe that's the best 1070 that you can buy. I had one that ran juust like yours. Thank you! Yeah my wife picked it out, I'm so proud of her! Awesome build catalog! This one is my fav. Thank you! I gotta say I perused your build list and I like what I see! Congrats on your recent feature BTW. It really came down to two things, airflow and noise. I use heavy dust filters (carpets, cats, kids) so I needed fans with good static pressure as well as airflow. I also wanted my system silent, it sits about two feet from me so I don't want to hear fans ramping up with temps. The Noctuas perform better than most other fans out there, and in the 10+ years I have been using them I've only ever had one go bad. I wasn't originally sold on the colors but they're not all that bad. The newer, RGB equipped version of this build looks much better. 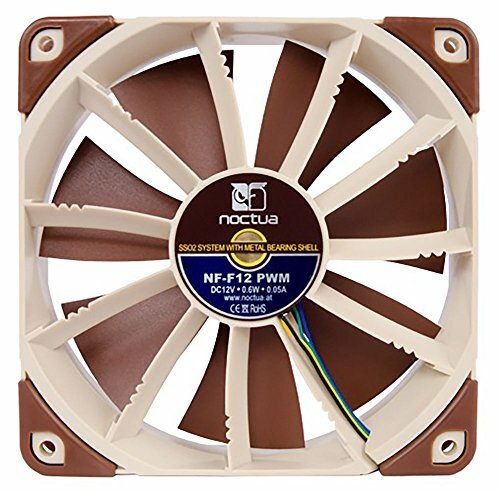 All the same Noctua fans, just with Phanteks RGB plates over them. That was one of the main attractions I had to the Air 540 case, you can show off all the goodies and the power supply and cables are all in the back compartment out of sight. Thank you! I had my old case on a piece of wood, but the Air 540 doesn't have any intakes on the bottom and the PSU pulls air from the right side so I didn't see a need. Both of my son's computers are on boards though, they have bottom-intake power supplies.